The de·caff Viewer version 3.x is a Java based program for viewing AutoCAD® DWG, DXF and SHX files. The DWGPROPS tool is a Java command line tool for extracting meta information from DWG and DXF files. 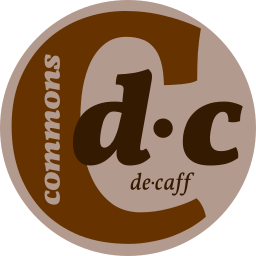 The de·caff Commons provide a wild mix of open source Java classes used in various projects on this site. 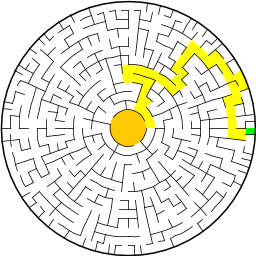 irrGardener is a simple Java program which allows to create and print out different kinds of mazes. The ReversePathIterator is a simple class which adds a missing feature to Java shapes: iterating over the path in reverse direction. 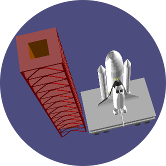 The de·caff DXF Viewer version 2.x was a Java based program for viewing AutoCAD® DXF and SHX files. It’s still available here, but you should definitely switch to my de·caff Viewer (without DXF in its name), which also supports DWG. Shows how Applets using the same underlying lib like the now outdated de·caff DXF Viewer can be used. The de·caff Viewer is freeware, but not Open Source.